Are you your true self or who the world tells you to be? In 'Androcles and the Lion,' famed fable writer Aesop reminds us that being kind is the heart of who we are, no matter what our circumstances. 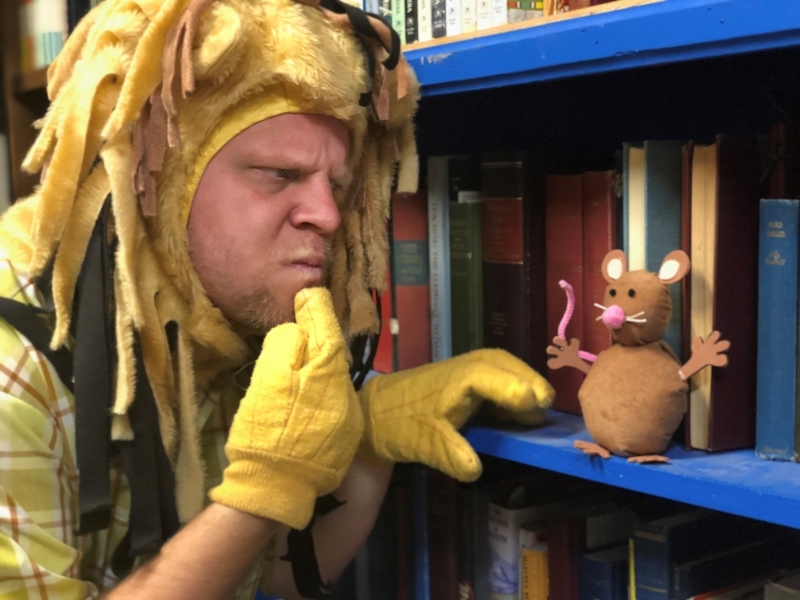 The Missoula Children’s Theatre (MCT) will present a fast-paced, funny version of Aesop’s classic story Sept 13-14, as part of its annual celebration of Arts in Education Week. Penned by Kathryn Walat, 'Androcles and the Lion' presents the familiar characters with fresh, bold personalities that will resonate with both kids and adults. Mouse is small but has a big rockstar heart and even bigger ideas. Lion is majestic when his tummy is full and super grumpy when it isn’t, and something as tiny as a thorn can leave him powerless and afraid. Androcles was born a servant but is determined to live life free and completely on his own “awesome” terms. Then there’s the Emperor. He thinks he can control everyone and that he knows everything (except multiplication tables, which are hard for him.) The Emperor believes he can MAKE someone be his friend. But by honoring their promises and their friendship, Mouse, Lion, and Androcles manage to overcome the Emperor’s selfish power and truly honor who they really are. They get to eat nachos and pizza together, too. Bonus! While much of MCT’s children’s programming features children, 'Androcles and the Lion' is MCT’s annual Theatre for Young Audiences (TYA) production. TYA is children’s theatre featuring professional adult actors. With cooperation from SPARK! and the Missoula County Public Schools (MCPS), all MCPS second grade students will field trip to the MCT Center for the Performing Arts for a performance of 'Androcles and the Lion' during Arts in Education Week. This is the 4th year that MCT has been able to offer this theatre experience to the MCPS second graders.